This week, we bring you a selection of free games from our team over at B3. If you’re looking for an adorable MMORPG with an anime style, a funny wrestling game for mobile, or a game that has been around for over 20 years, then we have what you are looking for. We even have some words about a competitive golf game and a silly game full of mini-games about ducks. All of these games are free too — what are you waiting for? A cutesy, anime-style MMORPG, MapleStory 2 could easily be overlooked as just being a game for kids — but there is a lot to like about the second installment in the series by Nexon. For starters, despite being a free to play game supported by an in-game cash shop, there is definitely no “pay to win” in the game (at the time of writing!). The shop being reserved for aesthetic enhancements for the most part. Also the storyline is interesting, there are 9 playable classes with no gender-locking and gameplay is smooth and, above all else, fun. 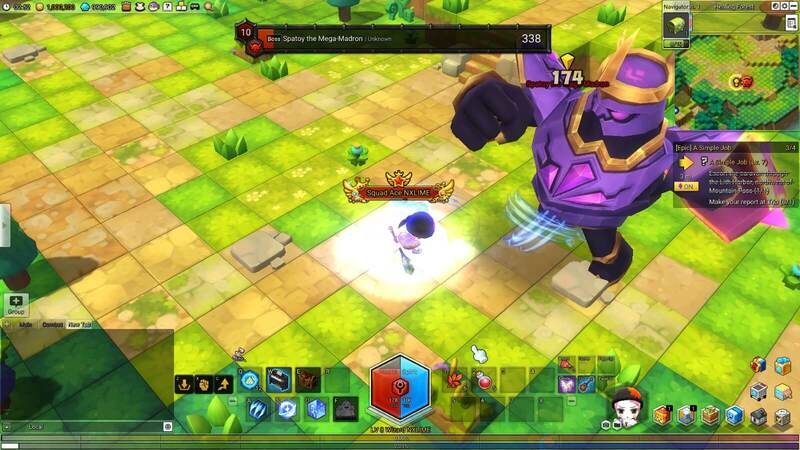 MapleStory 2 is a 3D game, played from an isometric viewpoint. Each zone is enjoyable to explore and you are able to earn a number of different mounts that allow you to traverse them — not to mention various taxi’s and helicopters that you can use to travel instantly to other discovered areas. Crafting, mining, exploration, dungeons, parties, lots of loot, visible weapon and gear enhancements, skill trees, attribute points, it’s all there — as are some excellent mini-games that some of the bigger MMO’s could learn from! 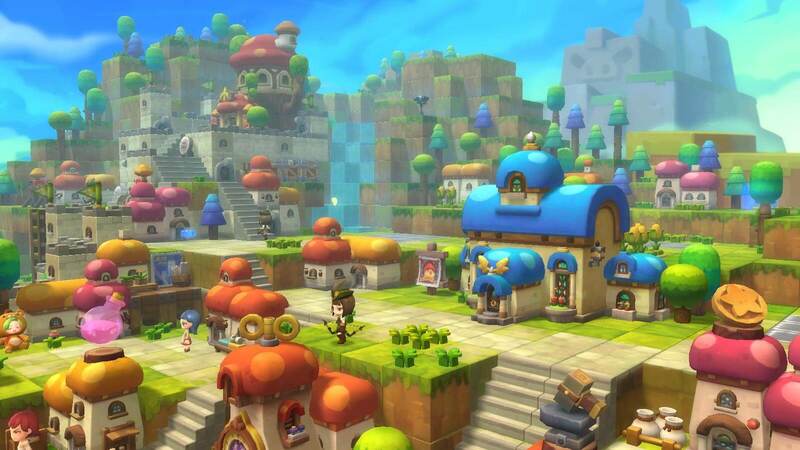 MapleStory 2 is a great game to try out — I guarantee you’ll not regret it. Wrassling is everything the WWE games aren’t. It’s free, it’s silly, and it doesn’t take itself even remotely seriously. 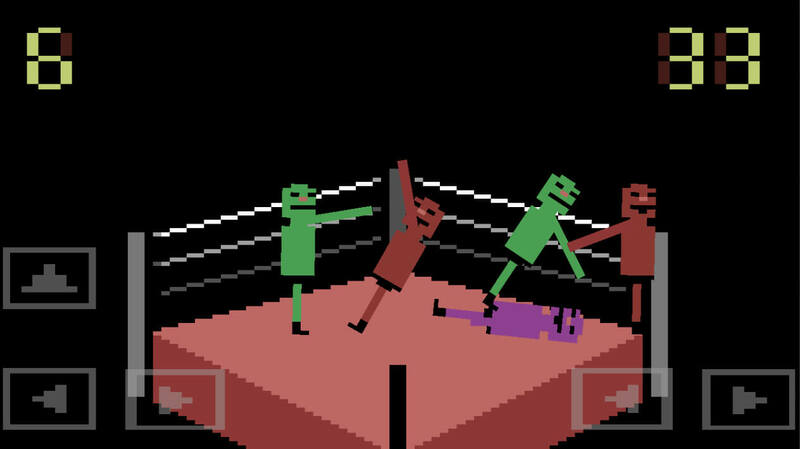 Taking place on a 2D plane, you move left and right, jump, and wildly spin your arms (clockwise or anticlockwise) using touch screen controls to try and fling your opponents over the top rope and into oblivion. You’ll have multiple other wrasslers in the ring at a time, and the occasional boss to contend with, but that’s pretty much the whole game! You can unlock hats (which will inevitably fly off within seconds) by completing additional challenges, and there are even some multiplayer modes to add to the fun. Not bad for free, and when the only monetisation is in the form of adverts (that you can pay to remove), then you’ve got a pretty fun free game that can be played in two minute bursts. Just beware the dreaded one-more-game syndrome. Wrassling is available for iOS and Android. If you’ve ever been to a miniature golf course before then you know how competitive it can be. Everyone is trying desperately to get their ball in the hole first in order to clear the round so they can move immediately to the next hole and continue their task. 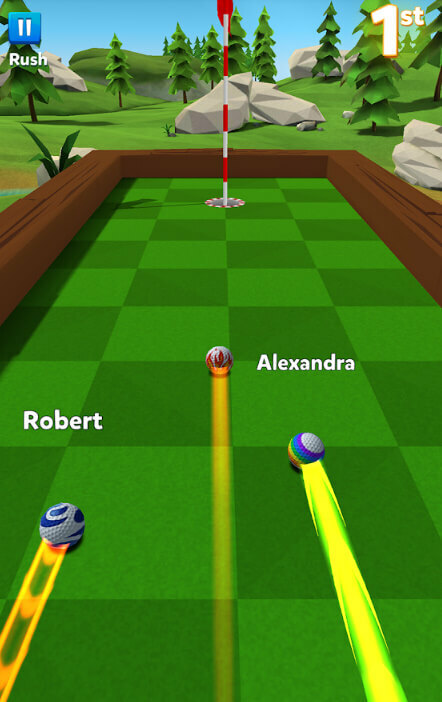 Oh right, that’s not regular mini-golf — it’s the new competitive asynchronous multiplayer mini-golf game, Golf Battle. 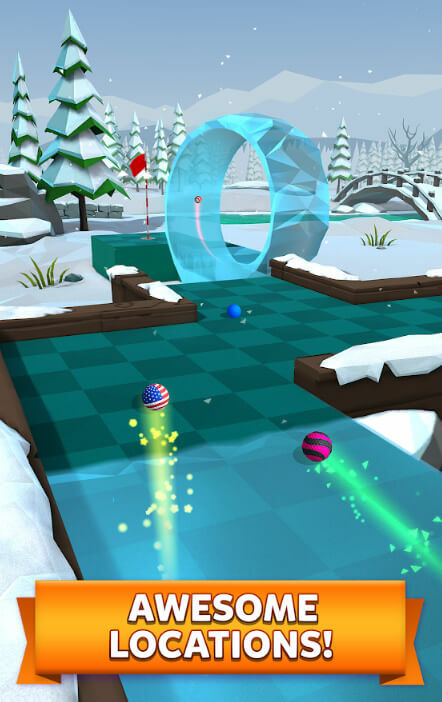 Golf Battle distills mini-golf into basic competition modes and offers you two different ways to play: Rush or Classic. Rush mode has you playing four holes of speedy golf — your goal is to sink your putt and get to the next round hole first. The person to clear all four of them first wins. Classic mode is a bit closer to what you may be familiar with, and has you competing against five other golfers, trying to get the lowest amount of strokes on a course (three holes at a time). You are timed, however, so putt like your life depends on it. It costs gold to play a round of the game, but you get a certain amount of it back along with a smidge of XP upon winning. There are also crates to unlock that require an artificial gems currency to unlock faster, which will unleash a menagerie of items, gold and gems in return. Clubs can be upgraded, and golf balls, ball trail effects and hole effects are some of the things you may uncover within the treasure chests. There is also a ‘Lucky Shot’ that has you trying to sink a ball on a daily hole in order to earn rare items and treasure chests or perhaps even some spare currency. I have not currently spent any money on this game, but it is quite possible to do so. Time-based unlocking and the use of the gem currency to mask actual money are typical fare for mobile games these days, but it is possible to play and enjoy yourself doing so, whenever you’re looking for a simple distraction. And best of all — ads are strictly limited to watching for extra items! Golf Battle is available for iOS and Android. Castle of the Winds is a roguelike from 1993, which originally released as a shareware game, which is how I first discovered it. Since 1998 (Twenty years! At the time of writing this) the entire game has been declared a public domain property by the developer, Rick Saada. It’s a nice little slice of a game that lays everything on the table, mechanics will seem bizarre until you’ve used them, at which point, they should seem completely sensible. It’s the game that taught me to use keyboard shortcuts, and also that 7/9/1/3 acted as diagonal movements in certain games. For the last 22+ years I’ve been playing this game on and off, in that time I have only managed to complete the shareware episode three times without abusing cheats. It is a somewhat ritualistic habit of mine to boot it up and take a run, it’s where my love of rogues and roguelikes first became apparent, and had led to me playing other ‘not explicitly’ run-based games, as such. To this day I have the name Bjaarnhaven burned into my brain and I get confused everytime I see the acronym BOTW, as COTW is so ingrained. 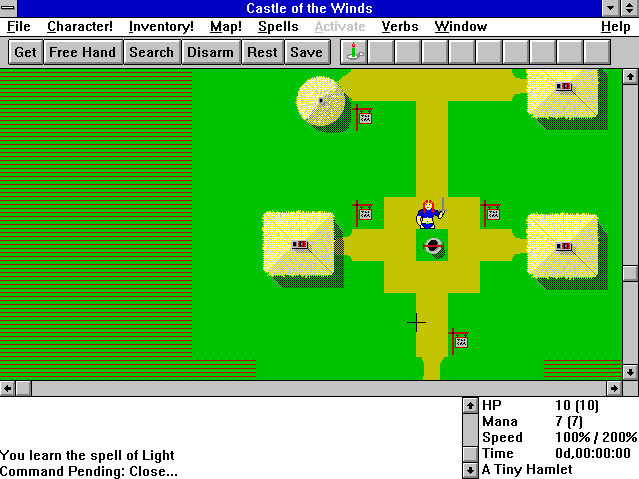 Castle of the Winds can be downloaded or played in your browser. Duck Jam is a fast paced game entirely full of 30 second mini-games, most of which involve ducks in some form! You are a duck character, moving around a massive castle in the middle. At each point around the castle, you will enter a mini game. These are random and can be a bunch of different games; cracking open an egg, being a duck crossing the road, avoiding hits as a tiny egg in between a massive duck, and even scaring away baby ducklings with broccoli — just to name a few. You only have a few seconds to figure out what to do in each mini-game, before completing it perfectly. If you fail, your duck character will cry on the spot and you will lose a flag. You need to make it through as many mini-games as possible, making it to each round’s castle level. The castle levels don’t change from world to world, however, you will need to complete them as well before moving to a more difficult bunch of mini-games to try again! If you are a fan of Warioware, you’ll love this wacky, duck-filled mini-game game!